Summary: Free tutorial can clearly tell you how to make bracelet with beads more unique in common way, especially, a stylish color collocation help you make a bead bracelet! 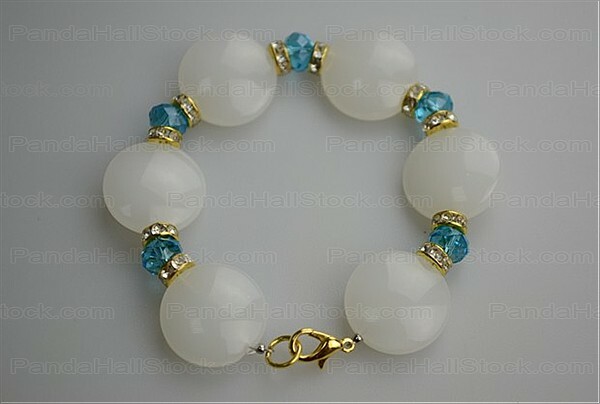 There are various ways to carry out the projects on how to make bracelet with beads. Some may require special tools and will take too much time. However, you can also choose to make a bead bracelet within using very common tools and materials, for which you do not need to pay too much money and time. All the supplies you need can simply get from the craft shops. And at last, all your pay will have the repayment! 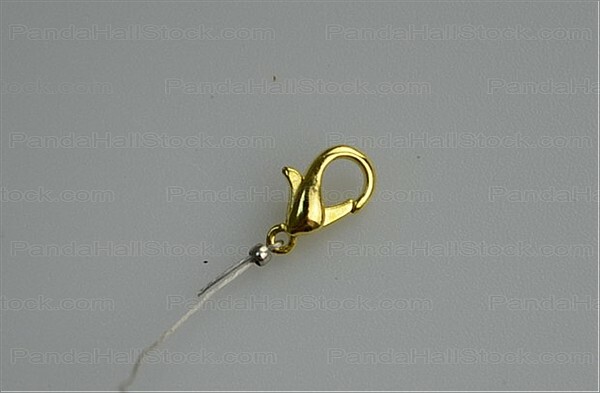 String one iron spacer bead and Brass Lobster Claw Clasp with a 15cm long tiger tail, then restring the wire back to the iron spacer bead. 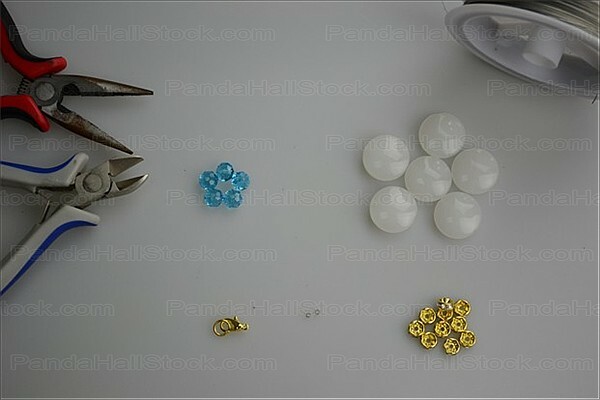 After adjust the position, pinch the spacer bead by using the Wire-Cutter Plier. Ad last, cut off the excess wire part and the first part of whole beaded bracelet making project is finished! 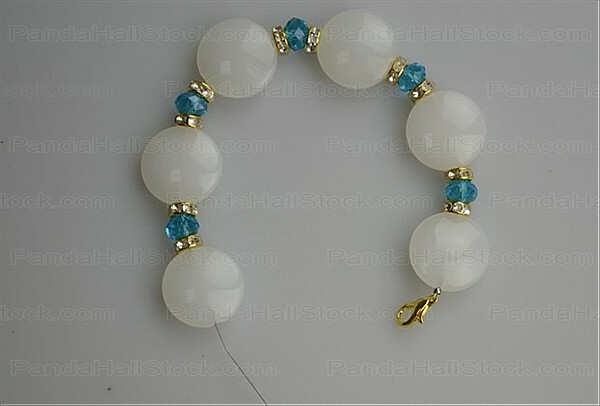 Regard flat round Imitation Jade Style Glass Bead*1, Golden Brass Rhinestone Bead*2 and Abacus Glass Bead*1 as a group, string the same group several times until get an ideal for your bracelet. This part can be just referring to the processes in step 1 for attaching the Brass Lobster Claw Clasp to the beaded necklace! So far, the whole beaded bracelet making project on how to make bracelet with beads has been finished. So easy, isn’t it? In fact, compared to other ways to make a bracelet, make a bead bracelet may be the most easy-to-learn as well as most creative craft. 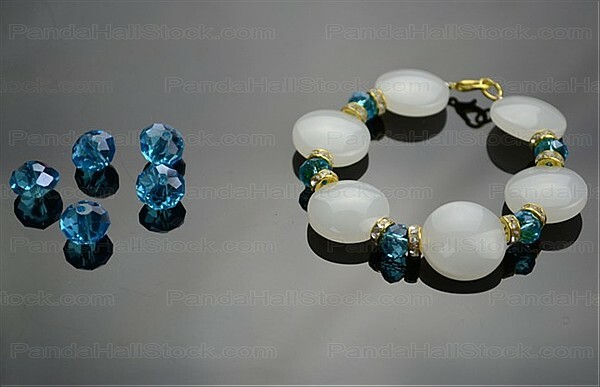 The beads’ types such as the size, shape, color can entirely depend on what you like and which style you decided to make. Try more ways to match out other super unique patterns!